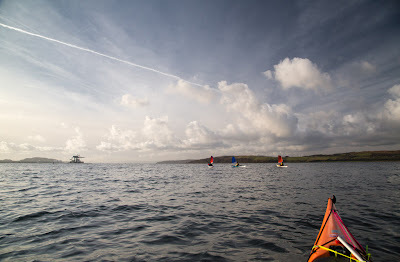 We set off in the general direction of Little Cumbrae. 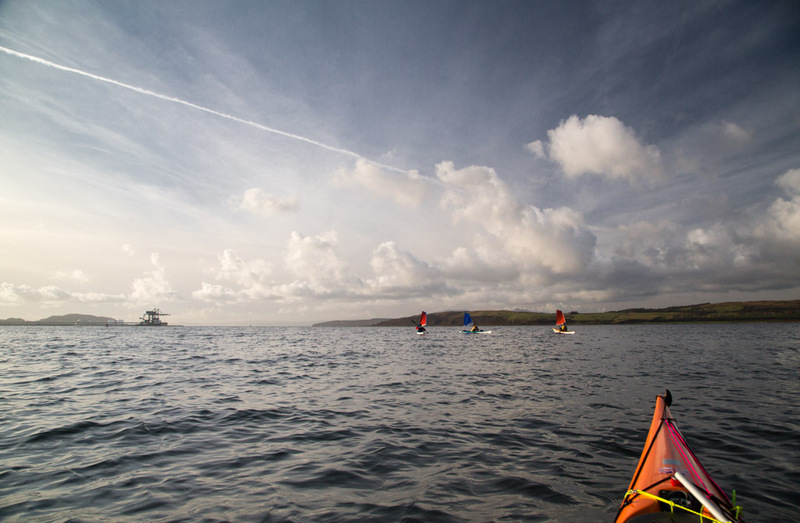 We set off from Largs in the general direction of the Little Cumbrae. 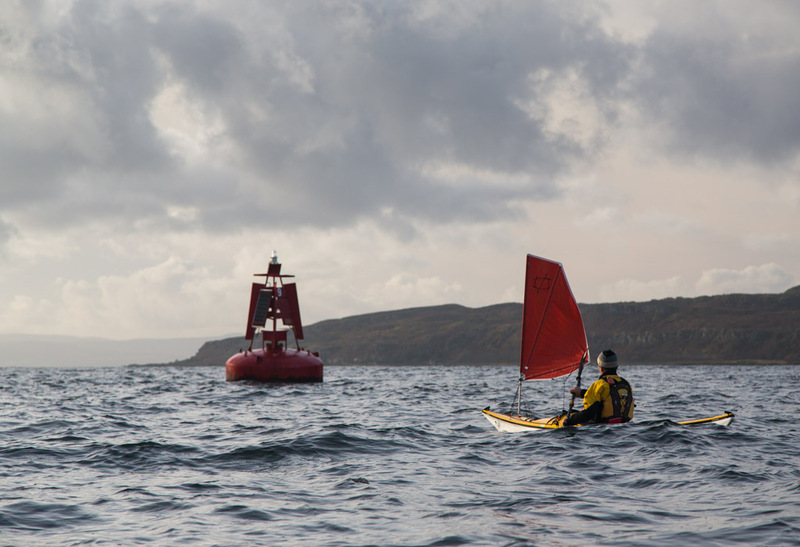 We had originally intended launching at Portencross, 9km south of Largs because the wind was forecast to be F3-4 SW, backing 4-5 SE increasing 6. When we arrived at Portencros,s the wind had already gone round to the south and was a fitful F4 gusting to 25knots. We decided to move up to Largs, which would allow a reach out to Little Cumbrae and back in a SE wind. In the shelter of the Largs hills, the wind was a lot less than at Portencross (well beyond the cranes on the horizon). 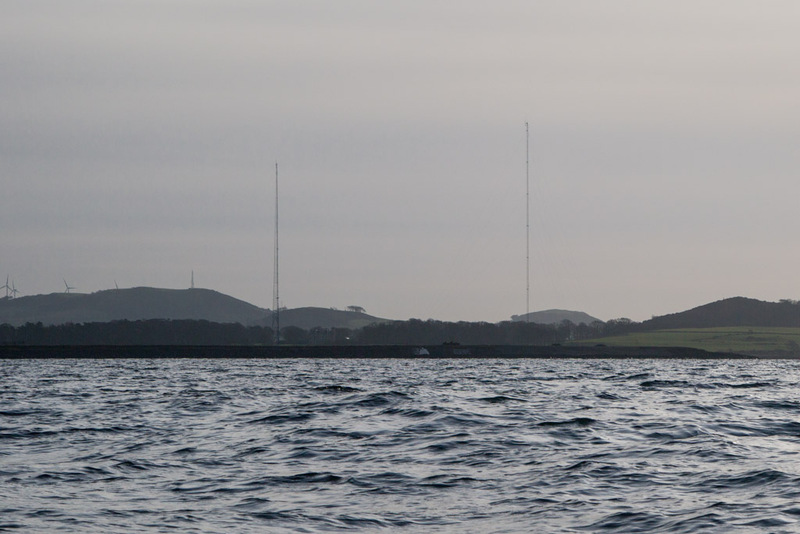 However, it had already gone round to the SE, which allowed us to lay the end of the Little Cumbrae on a very tight reach. 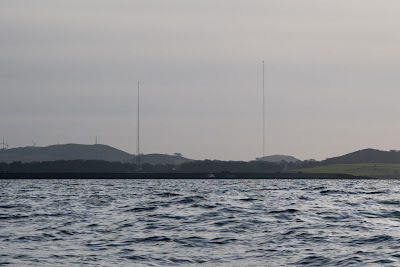 ...two new masts. They are anemometer towers to test the wind prior to building 3 huge (198.5m) test offshore wind turbines for the SSE company. About £180 per year of every UK electricity bill is used to subsidise building such monstrous devices. 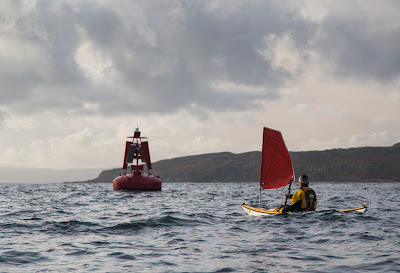 As we drew level with the port no 9 buoy of the Hunterston Channel, off the south end of the Great Cumbrae, it was apparent just how much all the recent flood water had increased the flow of the neap ebb tide. It was now two and a half hours after HW and the tide was zipping past the buoy. 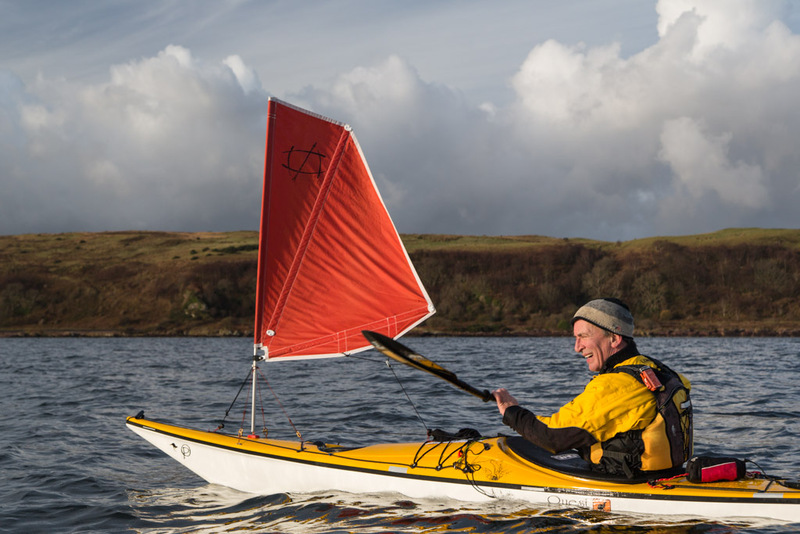 With the increasing wind against the tide, we knew we would be in for a rough crossing to the Little Cumbrae....yippee!